Special Edition Gold Watch by Grovemade | OhGizmo! By Gadget Flow on 11/14/16 • Leave a comment! Get the look that no one else will have with the Special Edition Gold Watch by Grovemade. Combining the classic analog watch style with a modern take, this wristwatch will grab attention for all the right reasons. 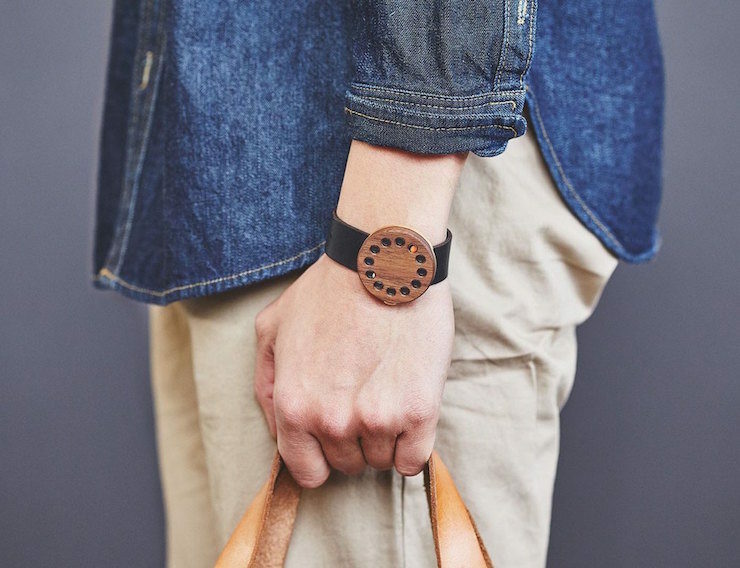 Rather than a traditional watch face, the Gold Watch features a wooden bezel that covers the whole watch with select circular cut outs for each hour. Sanded by hand, the wood is rich with unique grains.